The instant New York Times bestseller by Pastor Joel Osteen's wife offers insight, advice, and inspiration for women everywhere. So what does it mean, to Love Your Life ?" asks Victoria Osteen. "Loving your life is being willing to make changes, to let go of old ways and unhealthy habits so that you can be the best you can be. It's about having the right perspective and understanding the value of who you are and what you have. It's learning to love others and learning to love yourself so that you can get more out of your relationships. It's about recognizing the gifts that God has given you and making the most of those gifts." With all of the pressures of the modern world, women have had to deal with an increasingly daunting array of issues--from their kids' school and sports to their own health and finances and faith. Too often, they have to deal with these matters by themselves. The woman's role is not an easy one, but as Victoria Osteen shows, with her trademark passion, energy, and optimism, it's far from impossible. Women can find balance and joy and hope, and become better wives, mothers, daughters, sisters, and friends in the process. Like a trusted friend, Victoria shares her own personal life experiences and the stories of those who have inspired her. Outlining a simple plan for saying "yes" to life's blessings, she shows readers how they can overcome their fears, and the incredible things they can accomplish when they do. 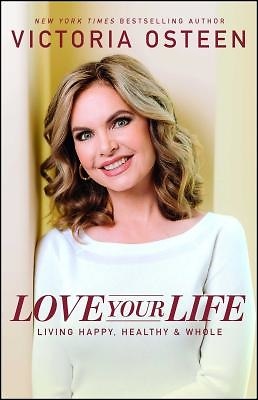 A New York Times bestseller in hardcover, Love Your Life will encourage a whole new universe of readers to accept the gift of who they were meant to be and discover how to live happy, healthy and whole.